Great jumping, brilliant sunshine and a marquee with good food and a beer tent – what more could you ask for? Northcote Stud’s young horse show was hailed a great success. 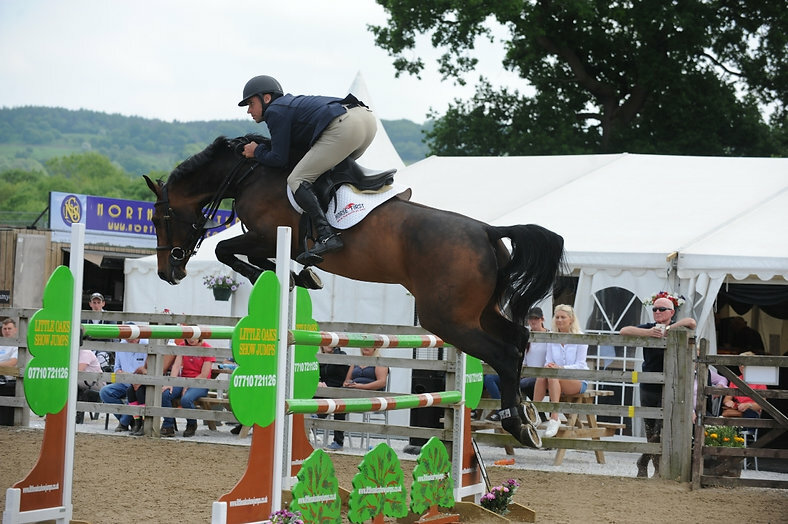 Rob Maguire will return to HOYS on his reigning Foxhunter champion Anastasia Van De Helle after heading the HOYS talentseekers. From a field of 68, Raf Suarez cleverly used distance questions to achieve 13 for the jump-off, with Rob claiming an early lead. “I’d considered turning inside to the [penultimate] vertical, but Raf [Suarez, course-designer] said I didn’t need to – I had a bit of ‘inside assistance!’, so I made up the time early on in the course,” he said. Rob has owned the Acolord/Capitol I nine-year-old Anastasia since she was six, but she missed her seven-year-old year and is still playing catch up. “This year is just an experience year, she’s upped a level and needs this year to feel comfortable. She jumped in Spain, was placed at Balmoral in a big class and the grand prix and jumped Warrington’s area trial. Next year she’ll be a more finished article,” he said.